HINTERLANDGALLERY will also be offering a very limited number of original sized (1120 mm x 1580 mm) and A1 (594 mm x 841 mm) sized giclee prints professionally reproduced and enhanced from each original poster used in the seminal advertising campaign, both being unique to this exhibition. 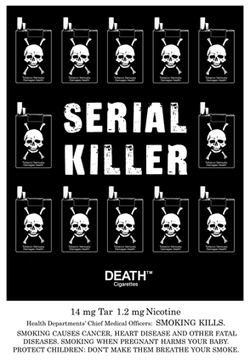 Each limited DEATH™ Cigarettes giclee print is individually numbered and comes complete with a certificate of authenticity personally signed by DEATH™ Cigarettes founder and renowned branding guru – BJ Cunningham. 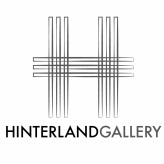 HINTERLANDGALLERY will host an opening reception on Saturday, February 14th, from 5:00 to 8:00 p.m.
No photography is permitted in the gallery. For press images, please contact the gallery. 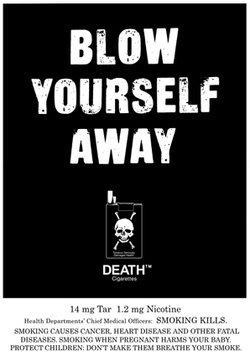 Copyright © 1991 / 2015 BJ Cunningham / Enlightened Tobacco Company PLC. All rights and permissions Mad Mug Lady Ltd.
10% of Mad Mug Lady Ltd.’s pre-tax profits from the sale of DEATH™ Cigarettes giclee prints from this exhibition will be paid to non-vivisectional cancer research and related charities.